Teeth aren’t the only important components of a healthy smile. The gums and supporting tissues also need to be cared for with proper maintenance and diligent oral hygiene, and we take this responsibility seriously at Dentistry by Design. 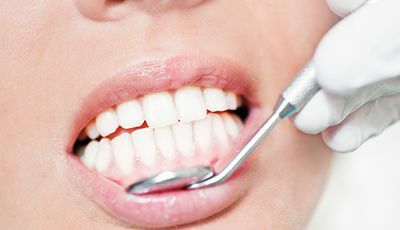 Periodontal disease (also known as gum disease) is one of the most common health problems on the planet, not to mention the leading cause of tooth loss among American adults. With routine screenings and revitalizing therapy options, Dr. Luke Lumpkin and the rest of our team can help patients avoid this threat and enjoy their smiles to the fullest. Please contact our Bartlesville, OK practice if you have any questions, or if you’re ready to schedule a first appointment. Root Scaling & Planing – This in-depth cleaning removes infectious bacteria from beneath the gum line and smooths the rough surfaces of tooth surfaces, which can be magnets for infection. State-of-The-Art Soft Tissue Laser Therapy – When gum disease has progressed past the early stages, our doctors can precisely remove diseased tissue and treat infection with our advanced Picasso Diode soft tissue laser. This non-surgical option is highly accurate and comfortable; in fact, patients are likely to experience only minimal bleeding, and the healing process is greatly accelerated as well.